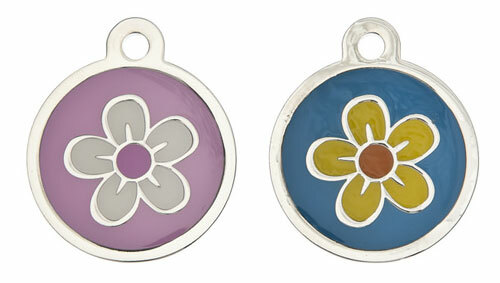 These luxury flower design round shaped tags are finished with a coloured resin infill. Sparkling Nickel plated. pet id tags, Choose from blue or pink.